We're getting into the dead of winter, so it's pretty dang cold lately. How do you all keep keep warm in the winter? In Japan kotatsu is probably the most popular choice. When I was a kid, I'd usually bury myself in a blanket or three, and drink some hot cocoa or maybe hot tea. There are definitely a good variety of appropriate drinks for different situations! The theme this time around is "beverages" - we'll take a look at coffee vs. tea, soft drinks, and energy drinks. A lot of countries have drinks that are inexorably linked to their culture. Japan, for example, has tea. Drinking tea isn't out of the ordinary for pretty much any meal, and you can find some kind of tea in almost every vending machine. What's more, businesses will quite often prepare tea for meetings with clients and the like. There are a ton of different varieties, too - 緑茶 (ryokucha, green tea), 紅茶 (koucha, black tea), 烏龍茶 (oolong tea), 麦茶 (mugicha, barley tea), and more. 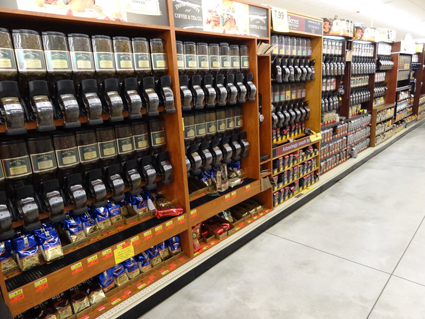 If there's any one drink with that much of a foothold in America, it's definitely coffee. Coffee is of course popular in Japan, but much more so in the US. There are plenty of people who have numerous coffees throughout the day, but the most common coffee time is morning. Obviously one of the biggest reasons behind that is the wake-up power of caffeine. On the other hand, tea is fairly common in America as well, but aside from iced tea it's comparatively minor. In America, black teas are generally thought of as being British, while green tea is seen as being an east Asian thing. The term "soft drink" is used in Japan to refer to any drinks without alcoholic content, including things like juices and teas. In America, it's used specifically for carbonated beverages only - soft drink = soda. Let's start with a little about soda. 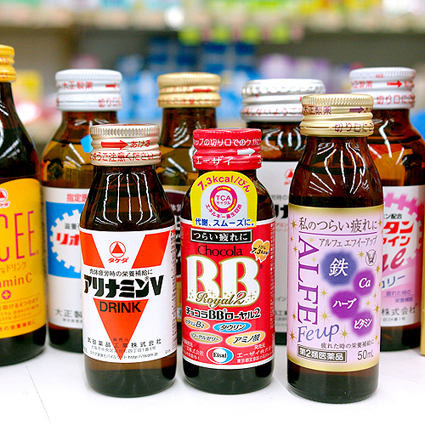 Sodas in America and Japan are largely the same in general, but differ in some smaller ways. 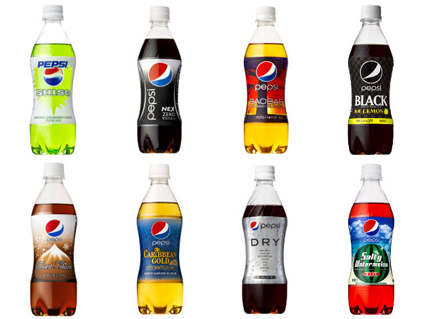 For one thing, sodas in America have a lot wider variety of flavors. In Japan on the other hand, most new flavors are limited-edition only. In America, most soda variations (like Cherry Coke and Mountain Dew Code Red) are available year-round. That being said, America too sometimes has limited-edition flavors on top of the range of permanent ones. Another interesting things is that in Japan, "Dr. Pepper" is marketed as having "over 20 fruit flavors", whereas in America it's not marketed as fruity at all but rather as a "mysterious flavor". "Soft drinks" that aren't sodas are basically just called "drinks" or "beverages" in the States. There aren't a lot of huge differences in the realm of juices, teas, and the like, but America and Japan do have a few of their own unique drinks. In Japan, there are "sports drinks" like Pocari Sweat and Aquarius, which don't have much of an analogue in America. A lot of westerners might find the name "Pocari Sweat" a little unpalatable, since it can make it seem like you're drinking sweat, haha. As far as "sports drinks" in the US, the biggest one would have to be Gatorade. Gatorade also exists in Japan, but it's a completely different drink! American Gatorade comes in a variety of fruit flavors - but it's definitely not juice. It's kind of difficult to describe the taste if you haven't had something like it, but it's fairly similar to Vitamin Water. After coffee, tea, and soft drinks, the last big category to tackle is energy drinks. American and Japanese energy drinks are actually quite distinct. 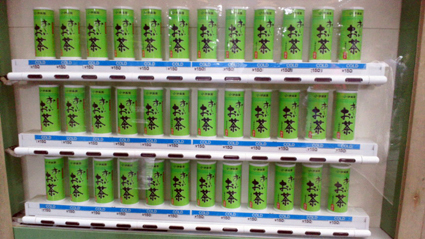 First of all, in Japan energy drinks are called "栄養ドリンク" (eiyou drink, literally "nutrition drinks"). Some of the more popular American energy drinks, like Monster and Red Bull, can actually be found in Japan as well. Compared to those, the likes Japan's REAL GOLD and Regain aren't quite as potent. Japan's eiyou drinks are much cheaper, and don't taste like their American counterparts at all. The portion size is also usually smaller. Unsurprisingly, many American energy drinks have an assortment of flavors. There are also energy shots, which are something you see rarely in Japan, if at all. 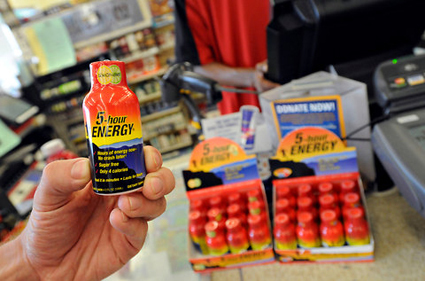 An energy shot is basically exactly what it sounds like - an energy drink concentrated down into one mouthful. It's definitely not a good idea to drink too many in a short period of time. これで5時間分 / Five hours worth of "energy"
It's セットでドリンクバー from everybody's favorite, BUBBLE-B! Family restaurants rule! Drink bars rule! There are a lot of delicious, unique drinks in Japan and America alike. Be sure to try something new next time you're in an unfamiliar country!